Shao mai is a dim sum with pork and shrimps. Ingredients: pork 58%, water, WHEAT flour, Chinese mushrooms, SHRIMPS (5%), , potato starch, sugar, WHEAT, salt, flavour enhancer: E621, vegetable oil (SOY, SESAME), acidity regulators: E500, white pepper, colour: E161b, tomato puree and cayenne pepper. Dim Sum Saus: vinegar 42%, water, sugar, SOY sauce (water, SOY beans, salt, sugar, WHEAT flour, mushroom extract), potato starch. Sambal saus: water, sambal 20% (water carrot, chili pepper, salt, vinegat, acidity: E330, verdikkingsmiddel: E415, E412, E410, preservative: E211, E202), sugar, salt, thickening agent: E415, vegetable oil (rapeseed, SOY, SESAME), colour: E160c. 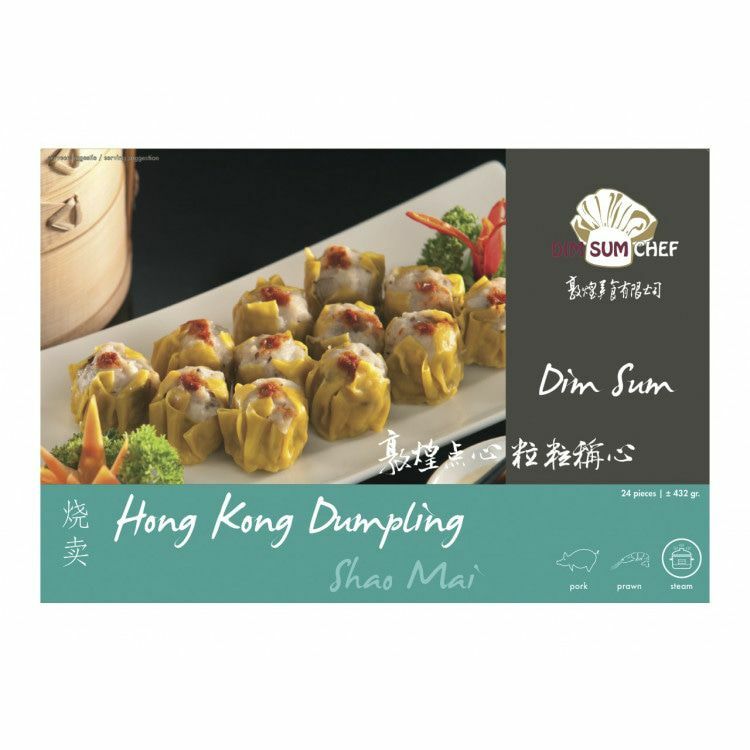 Legal name: Shao mai is a dim sum with pork and shrimps. Allergies: Gluten, Crustaceans, Soy, Sesame.